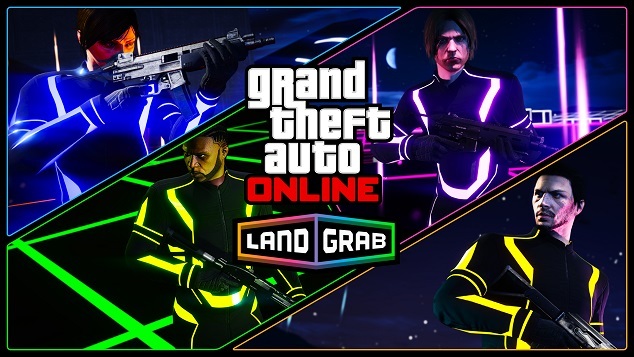 Claim what's rightfully yours in Land Grab, the latest mode to invade GTA Online. Every minute counts in Land Grab, where teams battle to control territory in an unforgiving cyberspace: shoot the other guy in the neck, grab his turf, reload and repeat. If you don’t do it, someone will do it for you. Pitting up to four teams against one another and with seven maps to choose from, claim territory by marking it with your team’s neon color simply by running over it. The not so simple part? The army of well-armed rivals who have the very same idea. The team with the most territory at the buzzer wins. Claim what's yours today and earn Double GTA$ & RP in Land Grab through April 24th! Nice! Join the chat in the forums! 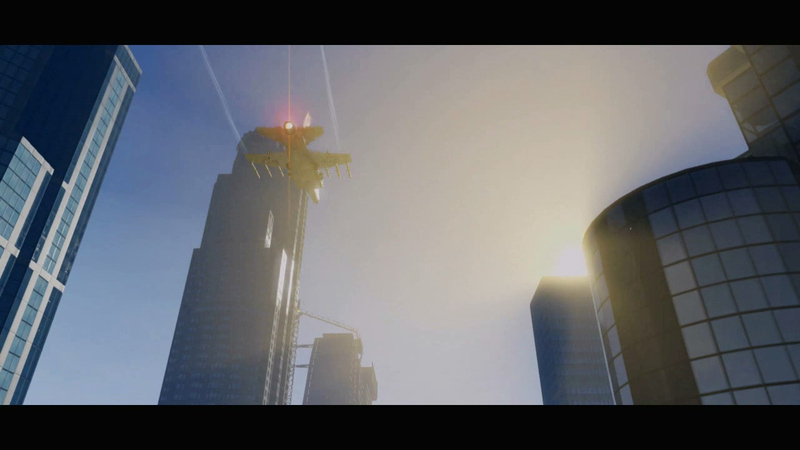 Land Grab Adversary Mode - New Adversary Mode in new-gen GTA Online more along the lines of capture-the-flag.